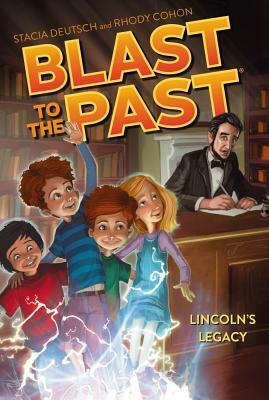 Can Abigail and her classmates jump into the past and convince President Lincoln to write the Emancipation Proclamation? Book one in an action-packed time-travel series. “What if Abraham Lincoln never freed the slaves?” That’s the question Mr. Caruthers poses to his third grade history class. And the question takes on real-life importance for Abigail, Zack, Jacob, and Bo, because Mr. Caruthers wants them to travel back in time and convince President Lincoln to write the Emancipation Proclamation. Lincoln is discouraged and thinking of quitting—before slavery is abolished!